The New Dietary Guidelines for Americans 2015-2020 was released this year. How can we put these Guidelines to use in everyday life? This is the second post in a series, explaining the Guidelines’ Key Recommendations and how to apply them. To view the first post on the Dietary Guidelines click here. A Key Recommendation in the Guidelines is to eat grains, making half of them whole. So what are whole grains? Whole grains contain the entire grain kernel: the bran, germ, and endosperm. Refined grains have been processed t o remove the bran & germ. This refinement changes the texture of the grain, but also removes iron, b vitamins, fiber, and other nutrients. These nutrients found only in whole grains are important to our digestion and overall health. For a list of common whole and refined grain products visit MyPlate.gov. 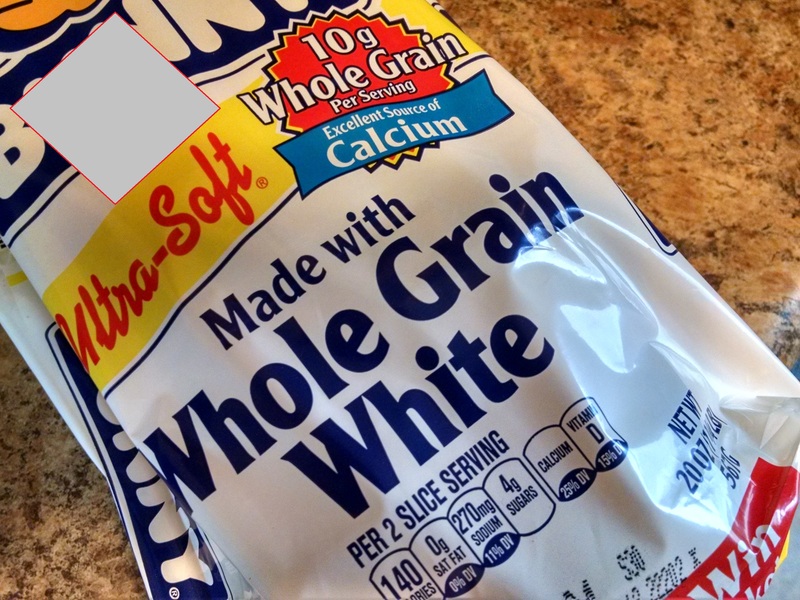 Find if & where “whole grain” or “whole wheat” is listed in the ingredient lists. 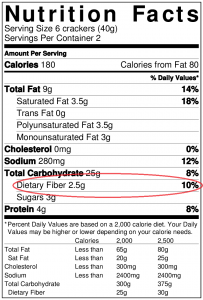 Find how many grams of fiber are in the food products. 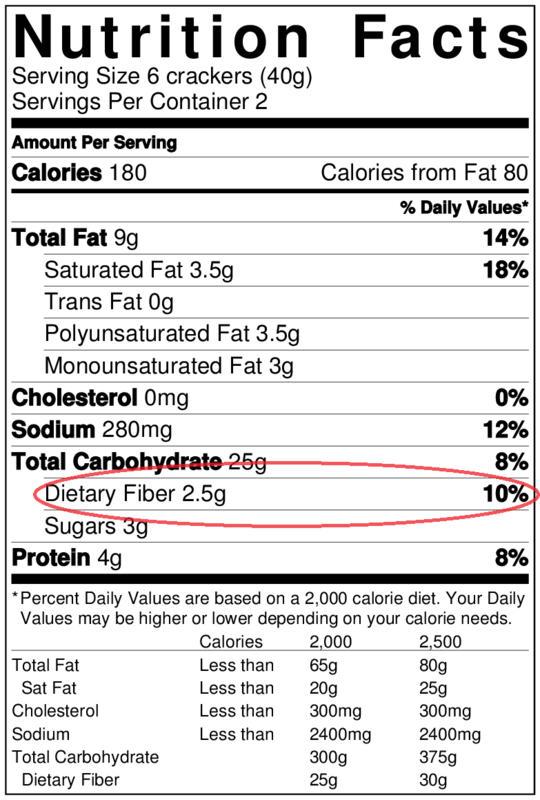 Choose products with “whole wheat” ingredients near the front of the ingredient list and high fiber content. Bake with half whole-wheat flour & half white flour. You may have to play around with the consistency of the final product. But with a little experimentation, I found the perfect balance to make homemade bread with half whole-wheat flour. Mix brown & white rice, and whole wheat and white pasta. My fiance complains when I cook with all whole wheat pasta or brown rice. But once mixed together, he doesn’t even notice a difference! Eat popcorn; it’s a 100% whole grain snack. Replace common refined grains with whole grain alternatives, such as bran-flake cereal instead of corn-flake cereal. 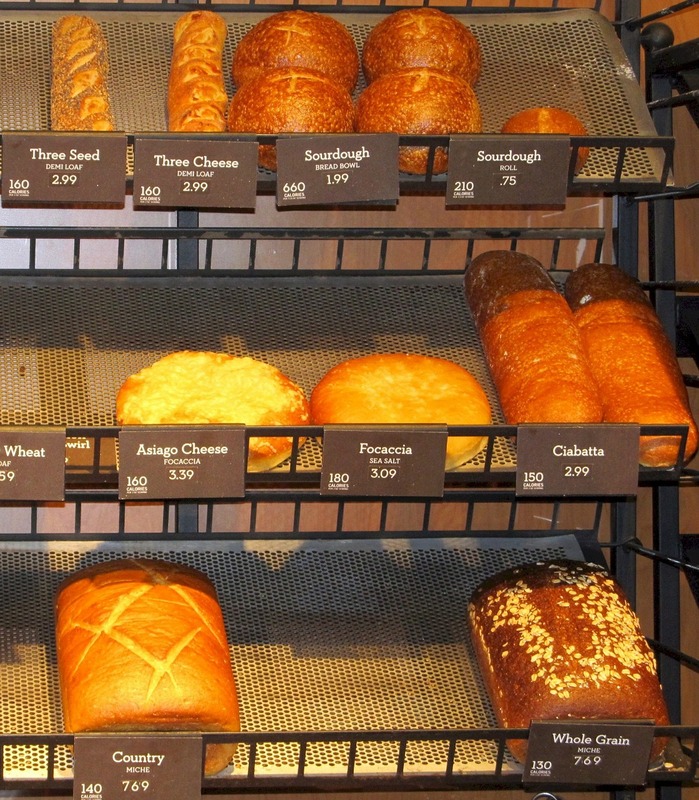 If your family dislikes the taste of whole wheat, try 100% whole wheat white flour. Whole wheat white flour comes from a different breed of wheat which is white (instead of traditional red wheat) and has a naturally soft texture. This makes white whole wheat taste similar to refined wheat.. but the germ & bran have not been removed so it has similar nutritional value to regular whole wheat products. 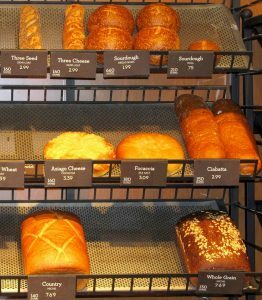 If you are gluten-free, you can still find great sources of whole grains for your diet. Visit the Whole Grains Council for a list of gluten-free grains. Whole grain model obtained from USDA. Shawna Hite, MPH is the Healthy People Program Specialist with The Ohio State University Extension, Family & Consumer Sciences. Shawna received her BA in psychology and communication from Lake Forest College and her MPH from OSU. Shawna has focused her past research and work on the physical, nutritional, and mental health of youth and communities. Her previous jobs using community input to guide health curriculum development and program implementation with LEAD and the OSU Extension have made her passionate about efforts focused on equipping the larger community with the knowledge, skills, and confidence to make decisions which benefit their overall health and wellness.